Time has been flying by. Last weekend we rented a trailer and took our first load of stuff to Prineville. At this point, we're not moving in, we are simply bringing over items to put in the large storage area above the shop that we do want to keep but we don't expect to need before we move. On Saturday, we planned to run around and do a bunch of shopping for remodeling materials, but it turns out, most places are closed on weekends. I've gotten spoiled by living in Portland. EleMar Oregon was the only place open in Redmond or Prineville on my list of vendors I wanted to visit. 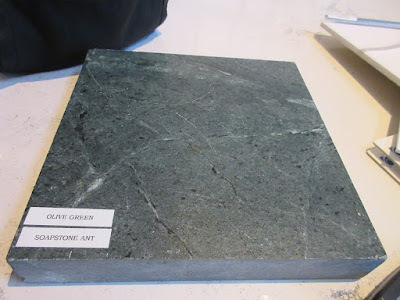 I went into this process planning to buy soapstone counters again, but I did find one granite slab I liked. Unfortunately, I didn't write down the name of it, I think it may be the Colonial Gold. Once upon a time, we had dark green marble counters in our house in Forest Grove. I loved the polished counters when they were clean and freshly shined, but it was a bit of a nightmare maintaining that beautiful showroom look. And I was a much better housekeeper back then. 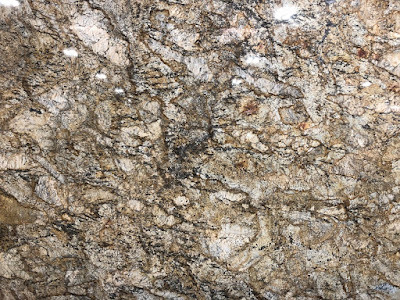 I'd be more likely to get the granite if I didn't expect it to be a replay of that old scenario; I may look into whether we can get it honed. They also had some soapstone slabs. They were all very dark, approaching black. Any of them would be fine if we decide we want to go with black soapstone. On Monday morning we met with Mike Montgomery from Montgomery Remodeling and Restoration in Bend, Oregon. We really like him. He didn't seem pushy and seemed to really listen to what we wanted. He spent about an hour with us walking through the house, taking measurements and writing stuff down. At the moment, we're waiting for some kind of proposal from him. He recommended we visit Baptista Tile in Bend, Oregon so we decided to do that before we left town. 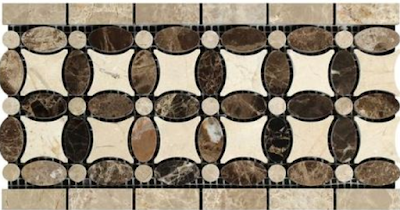 We spent about an hour there and I realized I mostly don't like this year's trendy tile. The main thing I got out of the trip was perhaps finding a reasonably good green soapstone. And they also directed me to some good vendors to visit in Portland. Yay!! I'll probably also drop by United Tile and Pental on Monday to look at what they have in stock. It's not really a feature to have too many choices; it just makes the decision more difficult. 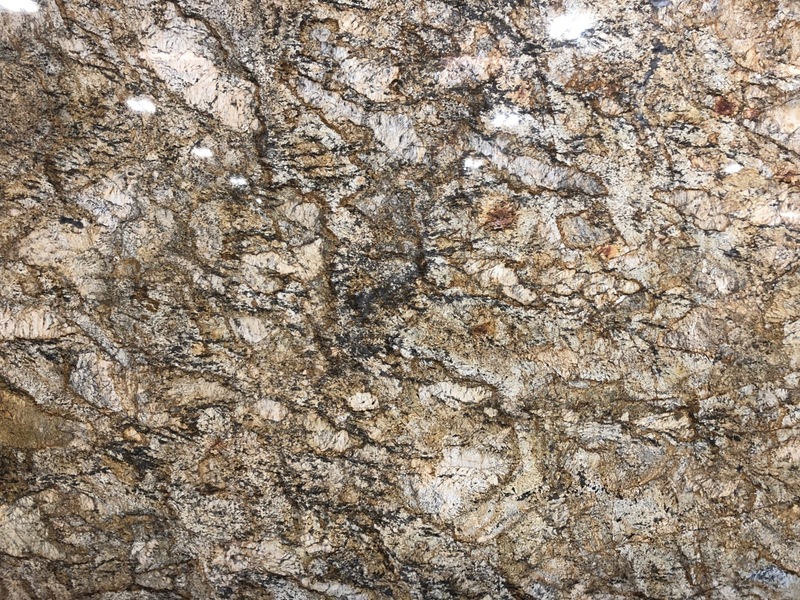 Once we've got all the samples in hand, I'll probably head back to the EleMar location in Tualatin to compare them to their wider selection of slabs and see if I like any of the combos.